Ezra became aware of the AES traineeship program from a friend of the family who worked at the bank. Ezra now says that his involvement in the trainee program has been a life changing experience. “I’ve always been interested in numbers and working with money, so I thought that banking would be a good thing for me to look at, I was interested in getting a better understanding of how a bank works,” explains Ezra, who’s been working one day a week during school term and full-time during school holidays at the NAB branch in Morayfield, South East Queensland. While admitting there was a lot to learn at first, Ezra says the traineeship has provided him with a broad understanding of the bank’s business operations, covering everything from workplace health and safety guidelines to customer service and learning how to use several banking computer programs. “I knew there was going to be heaps to learn, but I jumped straight into it, once you get the knowledge and understanding it gets easier,” says Ezra. Ezra says that one of the big positives to come from the traineeship has been the boost in his communication skills and the confidence that he’s developed from working face-to-face on a weekly basis with customers and co-workers. Ezra has settled into his role at the bank so well that NAB have offered him a permanent part-time position at the branch. “I can’t wait to get started, it’s great to know I can finish school and have that position ready for me,” says Ezra. While generally the AES traineeship runs for two years, because Ezra started late he’s worked hard to successfully complete all of the training modules during his final year at high school. 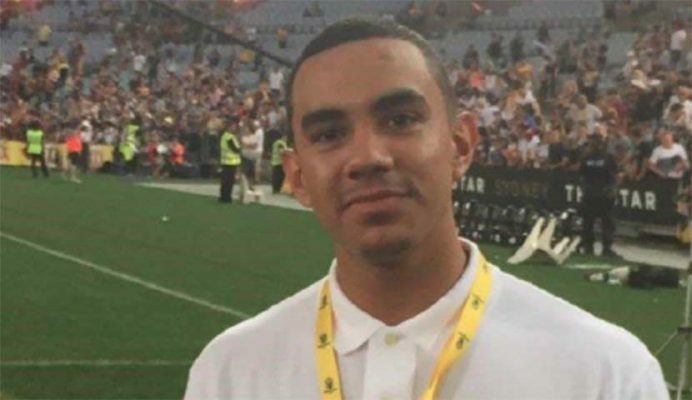 “Just go for it,” is Ezra’s advice to other Indigenous students thinking about taking up a traineeship opportunity. The AES and NAB working partnership was launched in 2006. AES has successfully pioneered its unique innovative school-based traineeships since 2002, with a focus on equipping Indigenous students via practical work experience, skills coaching and mentoring. Since the inception of its partnership with the AES, NAB has delivered vocational training and experience in the banking and finance sector to over 142 Aboriginal and Torres Strait Islander employees.